Moto FBM (Fabbrica Bolognese Motocicli) 224 Via Battindarno, Bologna, Italy was founded 1951 by Vittorio Minarelli and Franco Morini, nephew of Alphonso Morini. 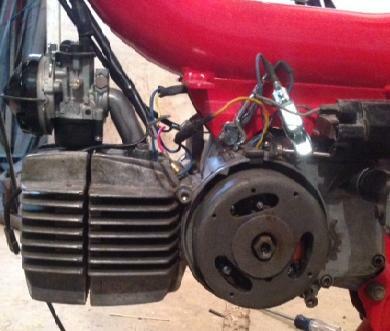 The two young Italian engineers produced 125 to 250cc motorcycle engines for other makers. 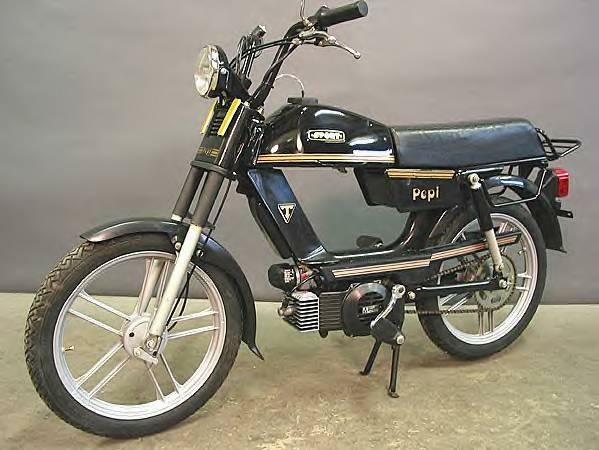 In 1954 the Pettirosso was born, a 50cc 2-stroke 2-speed cable-shift engine, destined to become the engine for most popular mopeds in Europe, and later the P3 3-speed version. Minarelli’s assistant Erio Testi helped develop those FBM moped engines, then later formed his own successful company. That is why Testi bikes all have Minarelli engines. 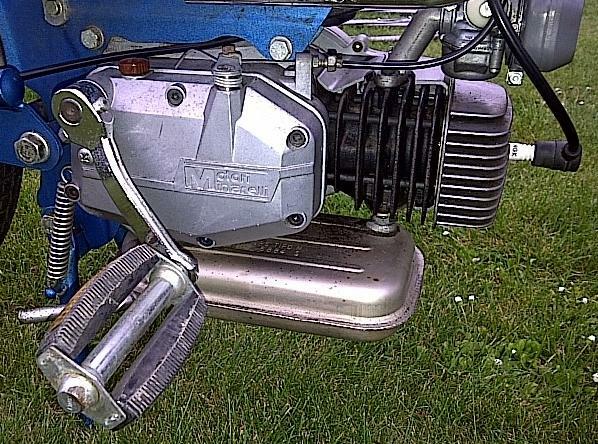 See Misc Italian, scroll to Moto FBM. In 1956 the company split into F.B. Minarelli and Motori Franco Morini. 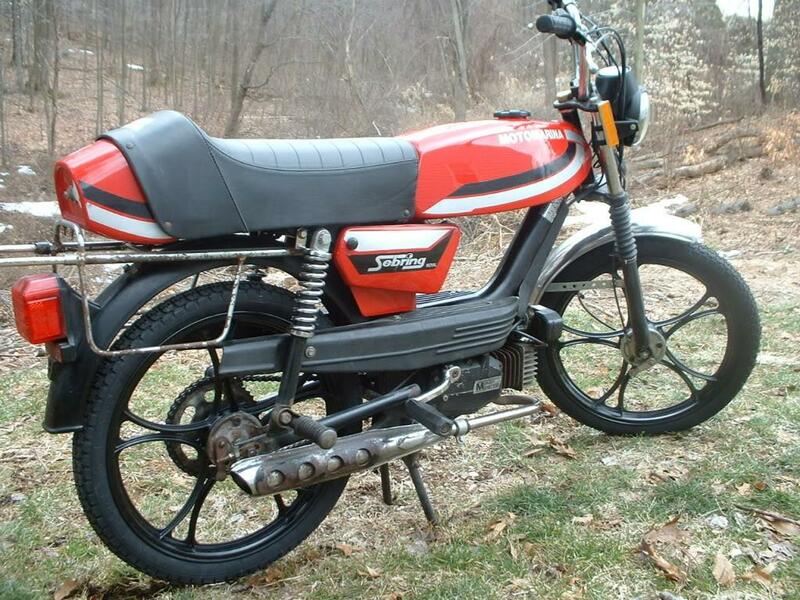 See Morini Motor. F.B.Minarelli (Fabbrica Bolognese Minarelli) 23 Via Melozzo da Forlì, Bologna, Italy was only four blocks away, formed in 1956 from the separation of Minarelli and Morini. The bike maker clients were divided equally in volume, Morini got Beta, Minarelli got the others. From Wikipedia: In 1956 Minarelli switched to exclusively manufacturing two-stroke engines, in a 20,000 sq. ft. purpose-built factory. It employed 20 technical staff and produced 70 engines a day. These were sold to companies in Italy, other parts of Europe and South America. 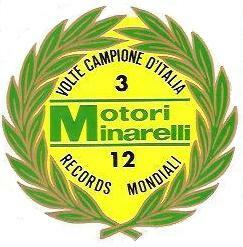 Motori Minarelli: In 1967 the company changed its name from F.B. Minarelli to Motori Minarelli, and opened a new plant about 5 miles north, in Calderara di Reno. By the 1970s engine production had reached 250,000 units a year. 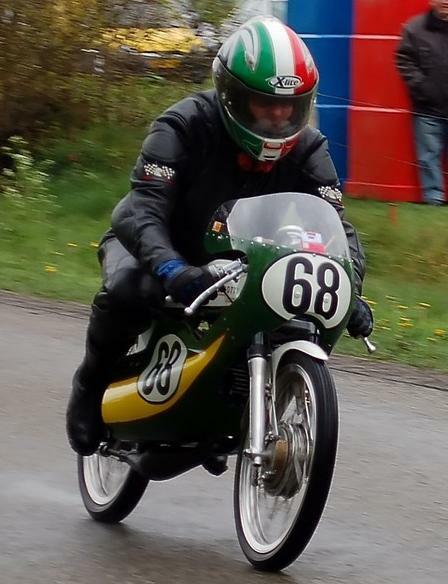 Minarelli successfully competed in Grand Prix motorcycle racing with Spanish rider Ángel Nieto winning 125cc world championships in 1979 and 1981. In 1990 the company began a business relationship with Yamaha. Five years later it employed 350 people and engine production had reached 450,000 units a year. In 2002, following changes in the world motorcycle market, Motori Minarelli became a member of the Yamaha Group. 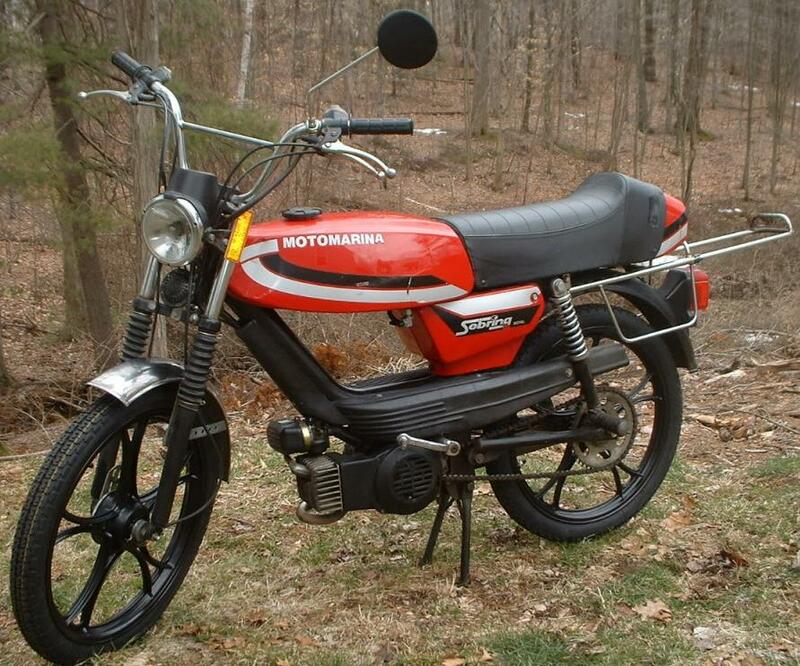 By the late 1980’s, mopeds were out of style, and scooters were popular. 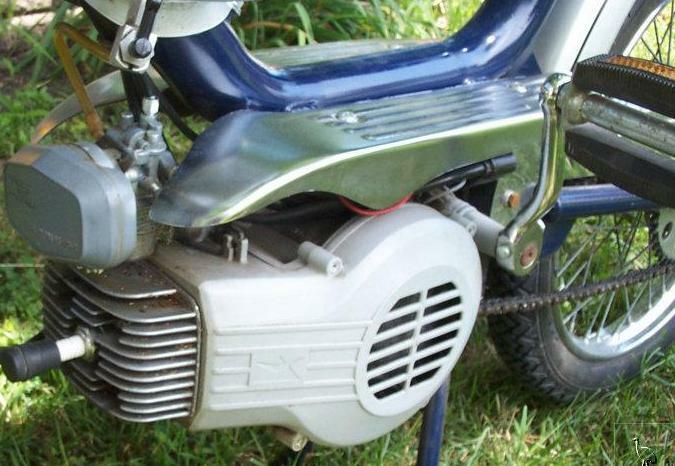 Minarelli made 49cc two-stroke scooter engines with variators all through the 1990’s and most of the 2000’s. Minarelli has always been behind the scenes, making engines for “everybody”, but not advertising or taking much credit. Many people who own certain scooters don’t know their engine is made by humble and wise Minarelli. Welcome. 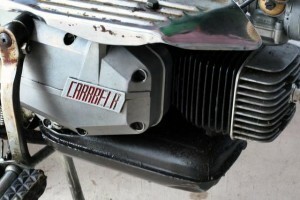 The Minarelli V1 engine is used on many mopeds, such as Cimatti, Gitane, Testi, Concord, Motron, Fantic, General, AMF, Baretta, Gadabout, Motomarina, and Safari. It is well made, performs good, and is easy to work on. 4740 3 4740 .50 Stator plate screw M4-0.7×20? 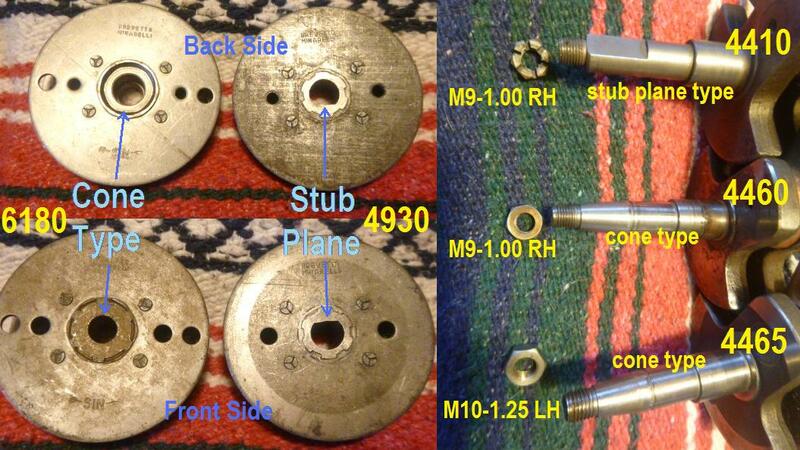 6180 1 4930 $80 Stub plane clutch (S-clutch) comp. 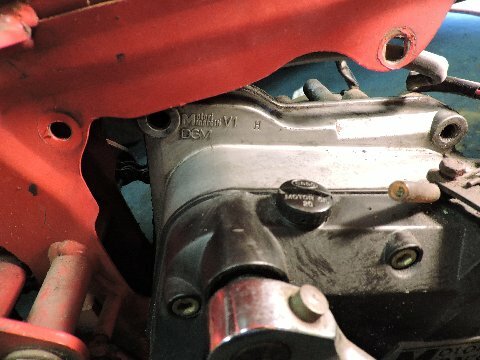 The 1986-88 Minarelli V1H was a V1 with an aluminum cylinder, still with piston port intake. The cylinder and head fins were bigger. There was no fan. Everything else was the same as a “late” V1. Minarelli V1 intakes look the same on the outside, but can have different inner sizes. 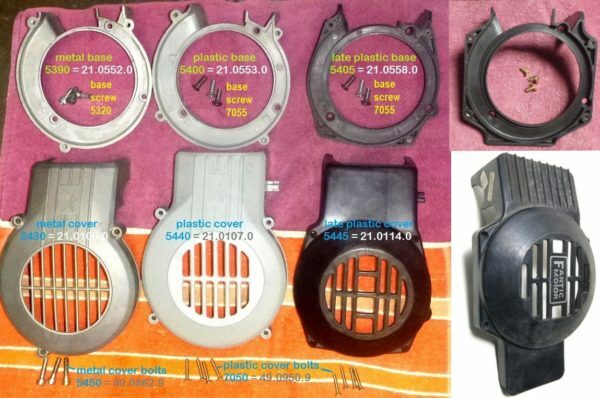 metal fan base 5390, “early plastic” fan 5410.
plastic fan base 5400, “early plastic” fan 5410. Most of these are light grey, some are black. “late plastic” base 5405, “late plastic” fan 5415. All of these are black. “Fantic” base 5405F, “late plastic” fan 5415. The individual pieces do not interchange. These were made in Naucalpan Mexico, by Acer Mex S.A. under license from Minarelli. They have the left case for the bigger 94mm stator plate (earlier and harder to work on). They have metal fan covers. So this version “f” is a late 1970’s copy of a mid 1970’s V1 version “a”. The “Fantic V1” engine version is from 1980 to 1986, shown at left. Square head, Fantic fan cover, late crank and clutch. Here we call it V1 “e” for pedal, or V1 “f” for kick. In 1986-87 Minarelli introduced the V1H, a V1 “c” with an improved cylinder, head, and no cooling fan. The cylinder was still piston port induction (where the intake manifold feeds the cylinder, and the bottom edge of the piston opens and closes off the port hole to make a net suction inward). The bigger uncoated aluminum cooling fins, cast over the cast iron cylinder core, carried plenty of heat away. The problem with the V1 exposed cooling fan, was the fan blades would all break off, if the fan cover was struck with the engine running. In 1988-89, Minarelli introduced the V1L, a V1 “e” with a crankcase two-petal reed valve. The cylinder was still fan cooled, a V1 all cast iron type, but without any intake port, and a bigger bore, 40.3 instead of 38.8mm. This engine had “crankcase reed valve induction”, a modern design that made more torque, especially take-off. 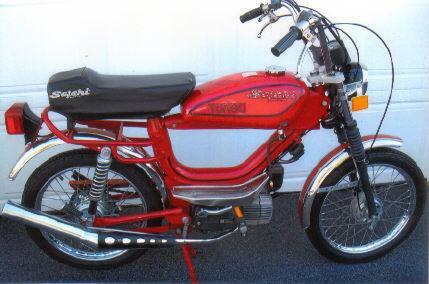 Morini already had success with it’s M1 reed motor eight years earlier, so Minarelli was several years late. In 1988-90, Minarelli made the V1HL, a V1H with a reed valve and no cooling fan. The bore and stroke were the same 40.3 and 42.0. 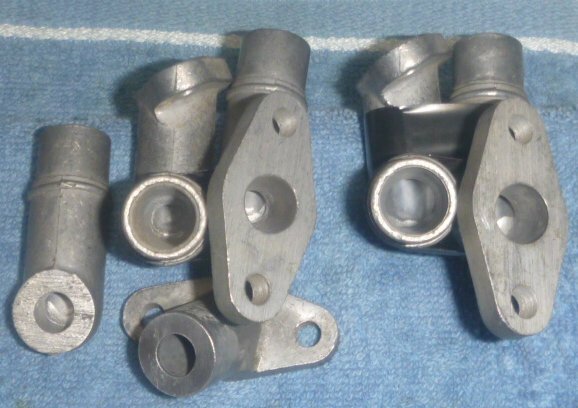 The cylinder was a V1H type with cast iron core, black powder coated aluminum cooling fins, but without any intake port. The unused intake side of the cylinder wall has a shallow “boost port”. In conjunction with a window high up on the intake side of the piston, the boost port provides a third transfer path from below the piston to above. It is visible at the lower right in the above photo. Also in 1987-90, Minarelli made the V1HLE (also called V1HL). 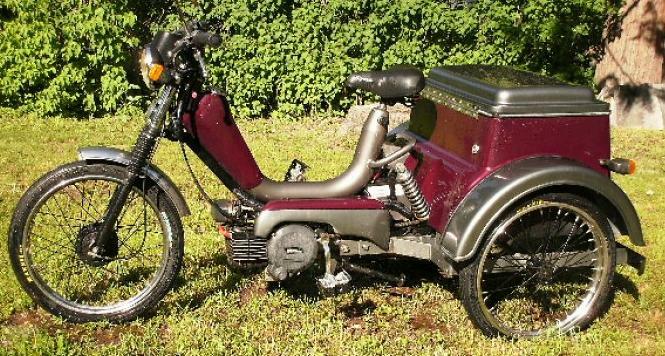 It was a V1HL (case reed and no cooling fan) with an electric start mechanism, for use on trikes, which are difficult to pedal start. 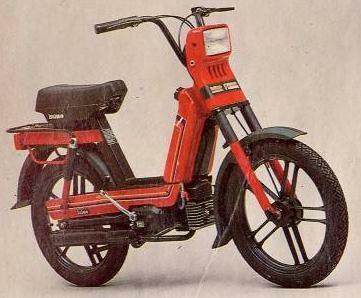 The Minarelli V1HLE electric start high torque one speed was used on late 1980’s Motomarina three wheeled mopeds. Myrons does not have parts for the models shown below, except things that are the same as V1. You are currently browsing the archives for the Minarelli Engine category.